My great-grandmother, Gipsy Clarke, wrote a book called Out Yonder. She lived on the Arizona/Mexico border back when it was still a territory of the United States. 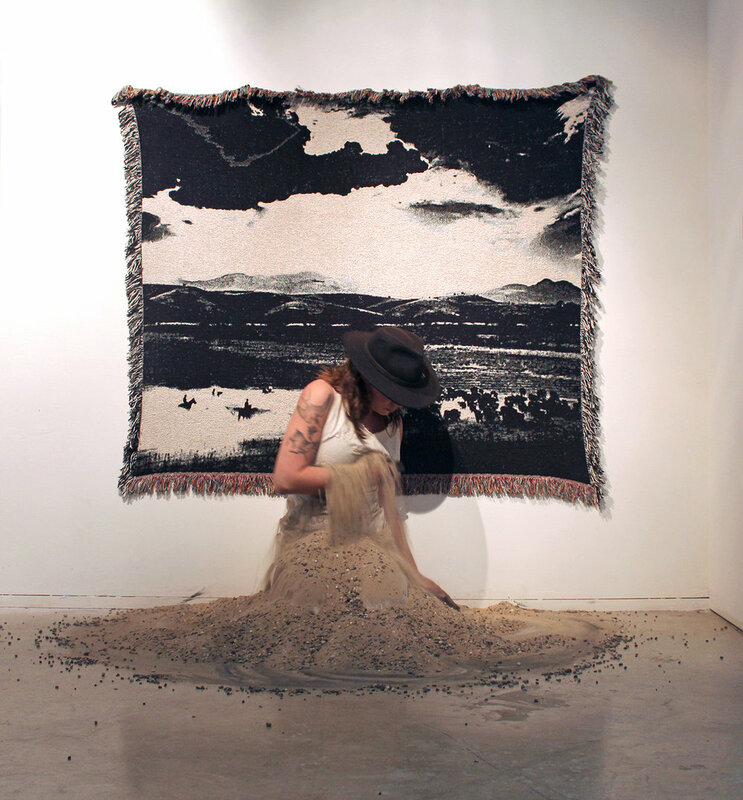 In this performance, I had a blanket made with the image of an old photograph of my great-grandparent’s ranch in Arivaca, AZ. I knelt in a corral of sand topped with graphite, wearing a dress I made of canvas with the phrase stitched across it, “still searching for your Out Yonder”. I kneaded the graphite into the sand and then across my body, and as the graphite was worked into the canvas the words became visible. The act of transferring earth to body translated as landscape shaping identity, not only in my life but in that of my ancestors.